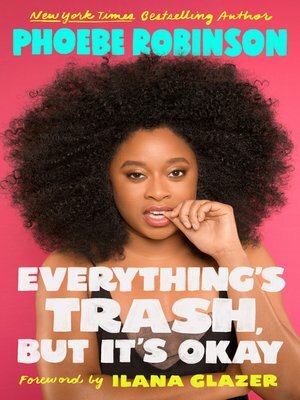 by Phoebe Robinson Author · Ilana Glazer Author of introduction, etc. "Robinson offers deft cultural criticism and hilarious personal anecdotes that will make readers laugh, cringe, and cry. Everything may indeed be trash but writing like this reminds us that we're gonna make it through all the terrible things with honesty, laughter, and faith." Written in her trademark unfiltered and witty style, Robinson's latest collection is a call to arms. Outfitted with on-point pop culture references, these essays tackle a wide range of topics: giving feminism a tough-love talk on intersectionality, telling society's beauty standards to kick rocks, and calling foul on our culture's obsession with work. Robinson also gets personal, exploring money problems she's hidden from her parents, how dating is mainly a warmed-over bowl of hot mess, and definitely most important, meeting Bono not once, but twice. She's struggled with being a woman with a political mind and a woman with an ever-changing jeans size. She knows about trash because she sees it every day—and because she's seen roughly one hundred thousand hours of reality TV and zero hours of Schindler's List.